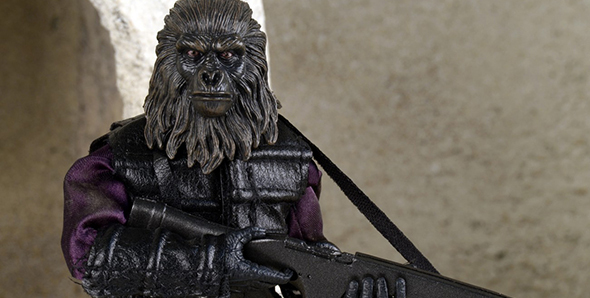 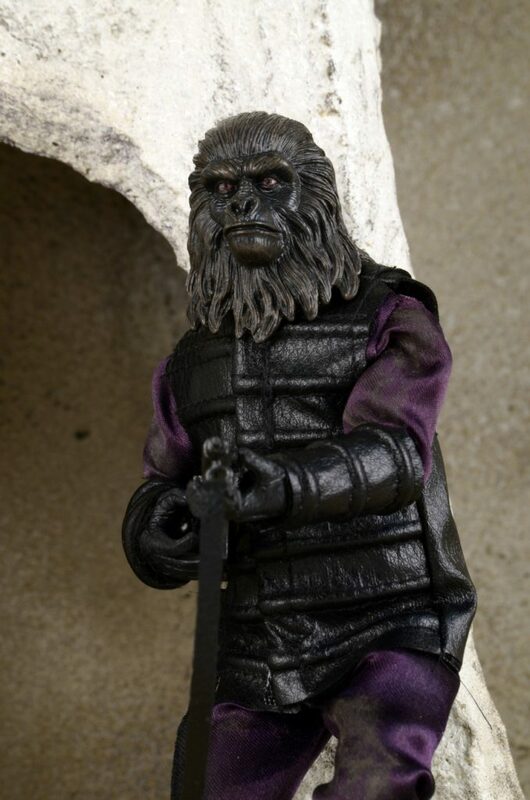 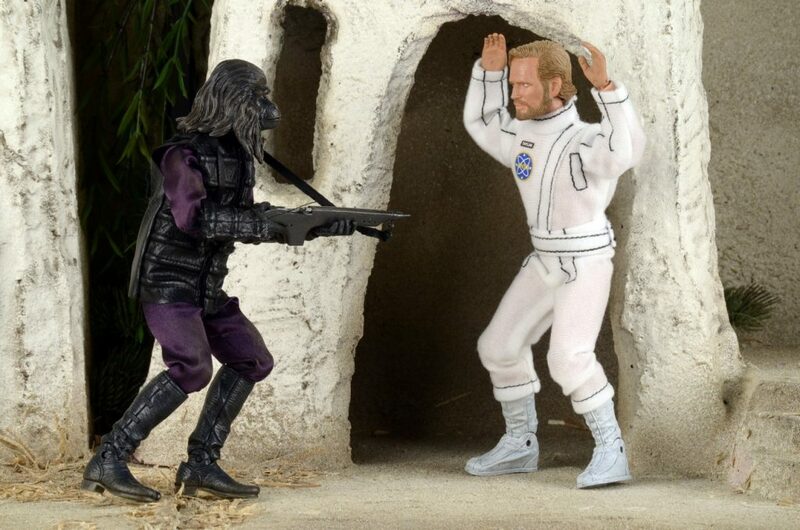 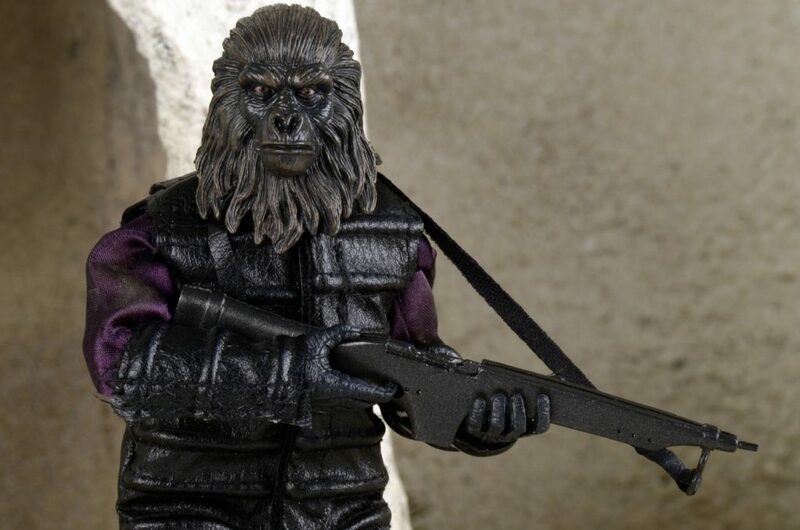 Today’s treat is an in-depth look at the upcoming clothed Gorilla Solider action figure from Planet of the Apes. 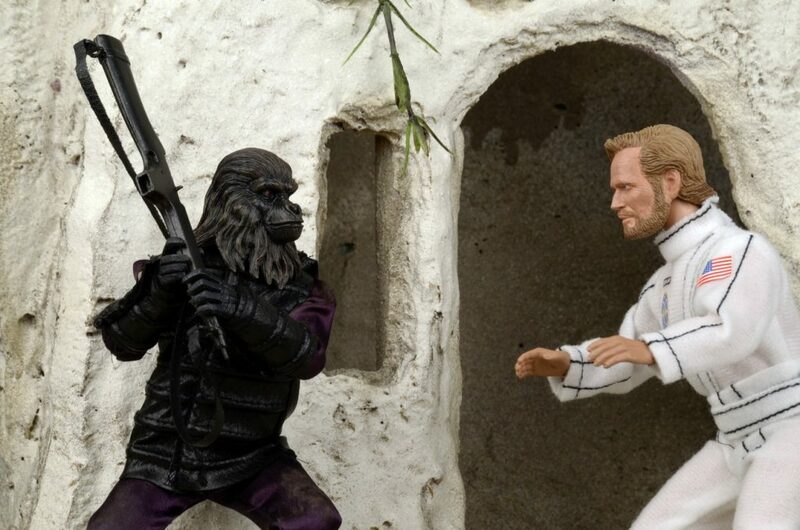 Check out the gallery below to see the final production model in action (with special guest appearance by our Charlton Heston/George Taylor figure). 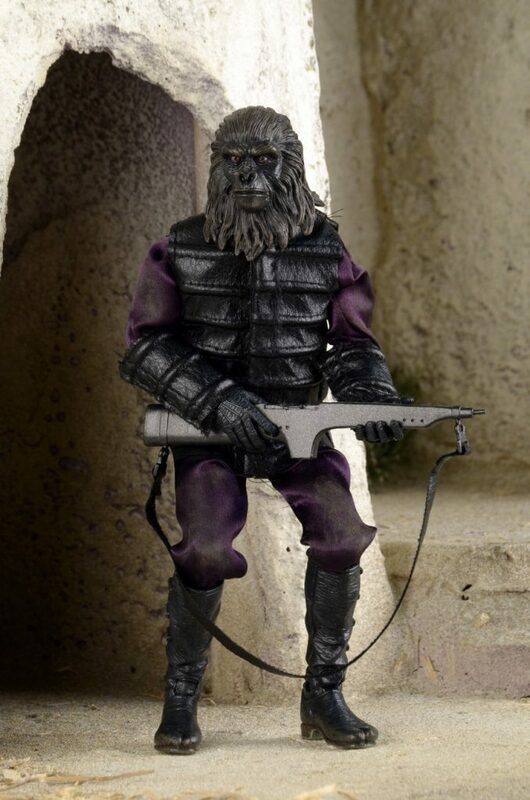 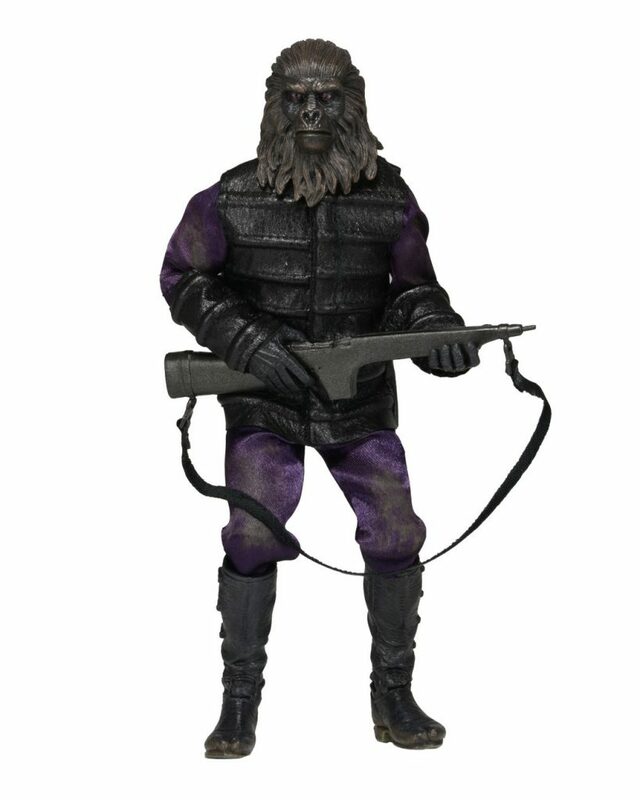 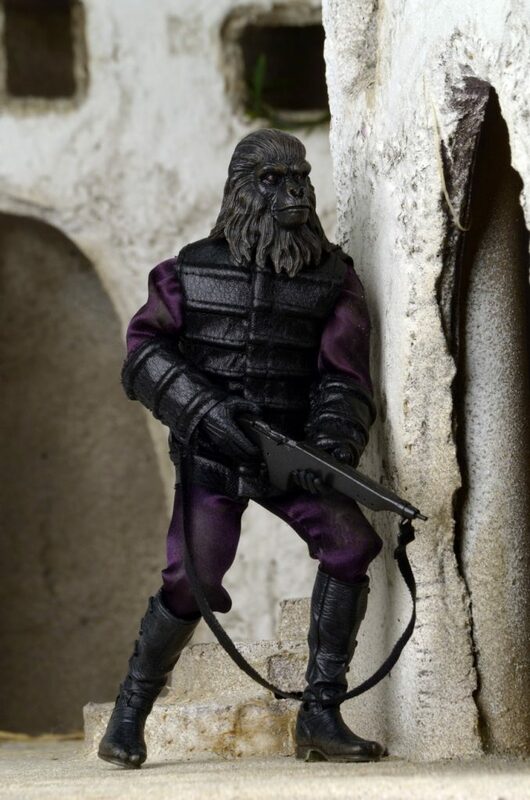 The Gorilla Soldier features a new Type 2 body with added articulation, including bicep swivel and improved thigh movement, and comes with a rifle accessory with strap. 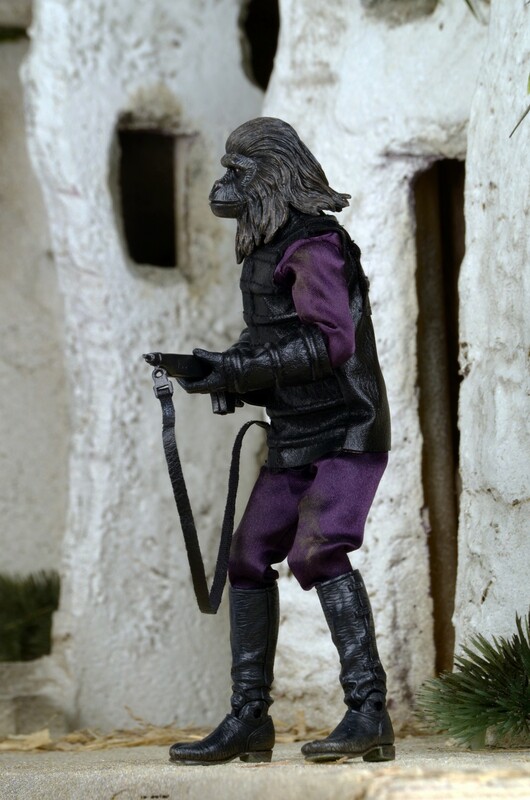 Blister card packaging with removable protective clamshell.